This private tour is made for people who come to Bucharest and because of a busy schedule they don’t have time to explore Romania. 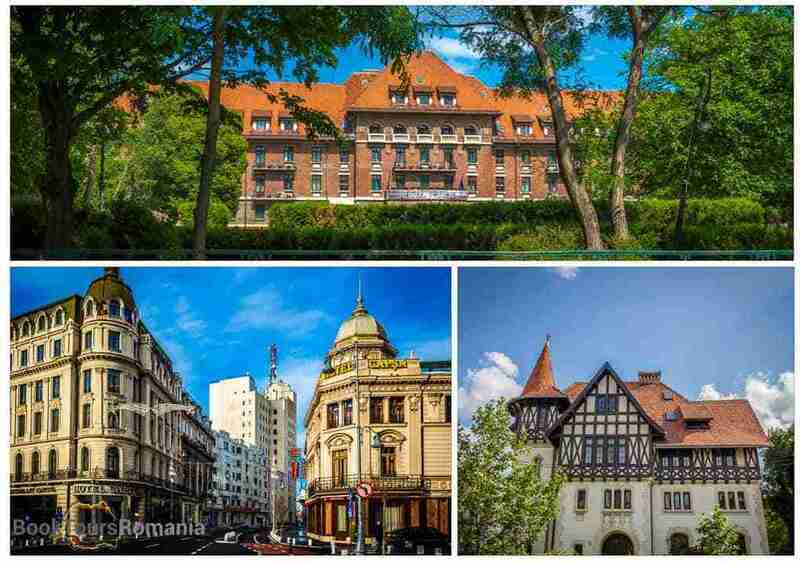 During this half day Bucharest city tour, you will get to see the main sights of the city and discover two important attractions located in the surroundings of the Romanian capital. Your tour guide will pick you up from your hotel and you will start the tour by having a panoramic tour of Bucharest exploring the most important sights of the city. The tour begins with a drive on Kiseleff Avenue admiring the Arch of Triumph and Victoriei Square. Then stop on the Revolution Square to find out more about the end of the communist regime and the Revolution of 1989. 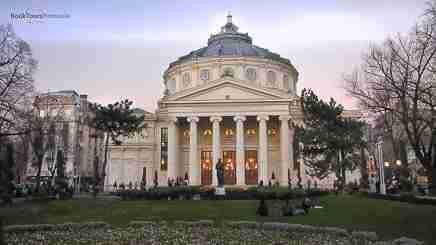 Nearby you will see the Romanian Athenaeum, Royal Palace and Crețulescu Church. Afterwards, discover one of the most famous landmarks of Bucharest, the Parliament Building or The People’s House, which is the second largest administrative building in the world, just after The Pentagon. The tour will continue with a pleasant drive through the Cotroceni neighborhood with a short stop at the Homeland Heroes Monument. You will have the chance to enjoy a short drive in the urban scenery until you will reach your next stop which is only 5 miles north-west of Bucharest. In the village of Mogoșoaia, you will visit the best model of the Romanian architecture, the Mogoșoaia Palace, which served as residence for the rulers of Wallachia in the 18th century. Next you will follow a road through some exquisite villages north of Bucharest until you will reach Snagov village. Situated on an island you will visit the Monastery of Snagov. Dating from the fifteenth century it is considered to be the burial place for Vlad Dracul III. He is the source of inspiration for the character of Bram Stocker, Dracula. Finally, you will see here the famous tomb of Dracula. Your tour ends back in Bucharest and your guide will drop you off at your hotel. A private tour with us means a special focus on your interests and desires, allowing you to travel in comfort. Therefore, our Bucharest city tour is very flexible, and can be changed according to your availability and requests. Looking for a different experience? Let us personalize your tour of Romania!